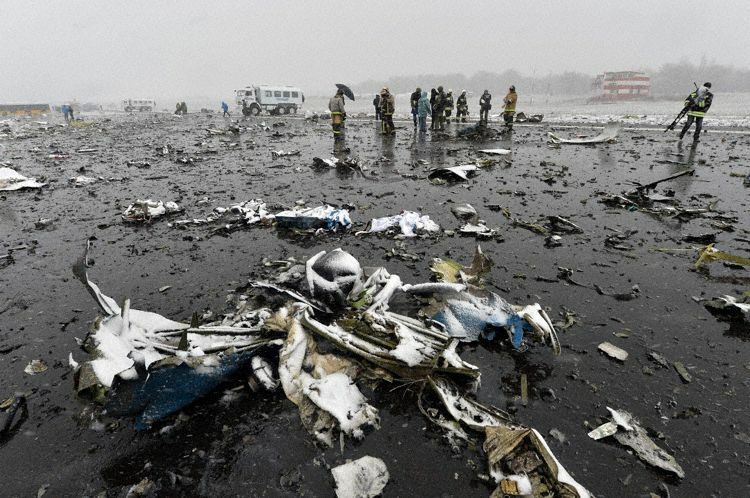 A FlyDubai 737-800 enroute from Dubai to Rostov on Don in Russia crashed on approach to the runway. There were no survivors among the 55 passengers and seven crew. The aircraft had attempted one approach which was unsuccessful.The aircraft then held for two hours. Upon the second approach attempt, the aircraft appeared to strike a wing tip and crashed on the runway. The weather at the time was an overcast ceiling with winds gusting between 27 and 42 knots. Investigation continues.